'Zombie Deer Disease' Reported In 22 States, But Could The Virus Spread To Humans? Graveyard Shift 'Zombie Deer Disease' Has Been Reported In 22 States, But Could The Virus Spread To Humans? Although it's comforting to reassure ourselves there is no such thing as a real-life zombie virus, it looks like it's time to check our living privilege. Chronic Wasting Disease (CWD), or the "Zombie Deer Disease," is neurodegenerative disease that has been infecting thousands of deer, elk, and moose throughout the US and Canada, and rates are only increasing. A prion-based disease (like Kuru or Mad Cow Disease), CWD is an aggressive, highly contagious disease that scientists still don't fully understand. All we can say for sure is that it's reducing deer to stumbling, drooling zombies, all of which are dying in rapid succession. The only thing scarier than viruses that make you act like a zombie are diseases that can be spread from animals to humans and then make you act like a zombie. Although humans have yet to be infected, scientists fear that CWD's remarkably aggressive behavior in the brain and ridiculously easy transmission could lead to full-blown epidemics if the disease were to jump the species barrier. To avoid ending up like Bambi's mother meets Dawn of The Dead, you should probably brush up on your Zombie Deer Disease facts. CWD gets its zombie moniker from the eerie symptoms that manifest approximately a year and a half after incubation. Deer, elk, and moose have all been spotted stumbling along, zombie-like. They're often drooling. The disease attacks animals' brains and spinal cords, and symptoms include blank stares, drooling, and lack of fear towards humans. The animals continue to eat, but they fail to retain nutrients, becoming shockingly gaunt and bony until they finally die. One of the few things scientists can be sure about when it comes to transmissible spongiform encephalopathies (TSE) such as CWD, is that it is always, invariably fatal. Once an animal has been infected and the disease incubated, it's only a short matter of time before they die. 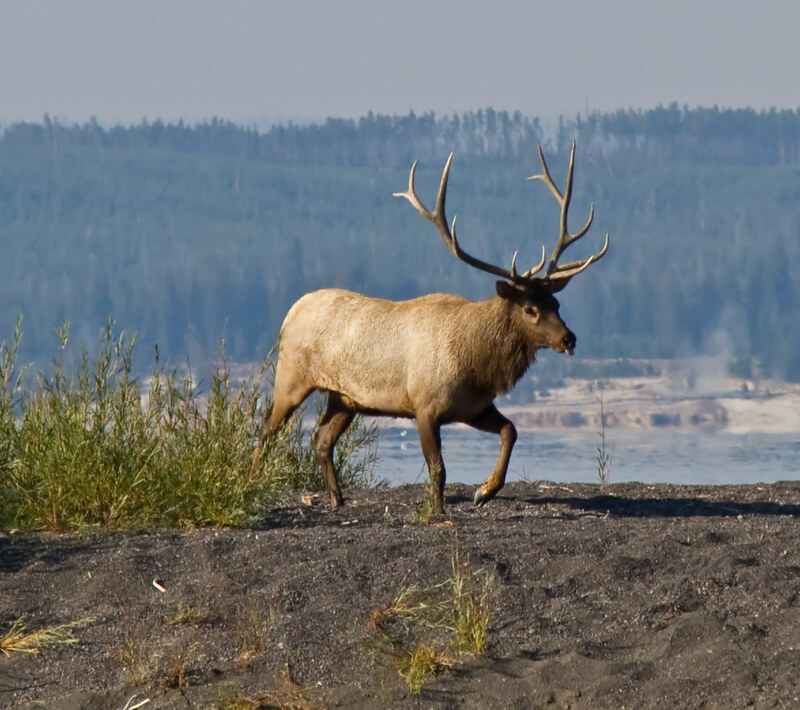 At this point, there is no clear estimate of just how many cervids (species such as deer, elk, or moose) have died from the disease, but with infection rates increasing rapidly, we can be sure the number is steadily rising. If Chronic Wasting Disease jumps the species barrier, and humans started becoming infected, there would be a major public health crisis. This is one of the reasons scientists have been trying to do as much research and spread as much awareness about CWD as possible. If the disease behaves in the human host as it does in the deer, it could be contracted through nearly any sort of contact with urine, feces, tissue, blood; pretty much any human contact. The disease is so highly contagious, and always fatal, that we could be facing a zombie epidemic before we know it. However, again, this would only happen if the disease acted the same way in humans as it does in deer. No need to freak out just yet, but maybe lay off the venison. So far, no humans have been infected with Chronic Wasting Disease, at least as far as the science community is aware. However, in a 2017 Canadian study, researchers exposed macaques (a type of monkey that reacts to prions similarly to humans) to CWD in a variety of ways, including feeding them infected meat, injecting the virus into their brains, exposing them to skin contact, and injecting it intravenously. The results were less than promising, and prompted Canadian officials to release country-wide health warnings. Over the three year study, three out of five macaques that were fed infected venison became infected with CWD. They were fed a total of five kg of infected deer meat over those three years; the equivalent of a human eating a single seven-ounce steak once a month. The study suggested that eating even small amounts of infected meat over a span of time could lead to infection, and these results showed just how dangerous things could get if or when people started getting infected.